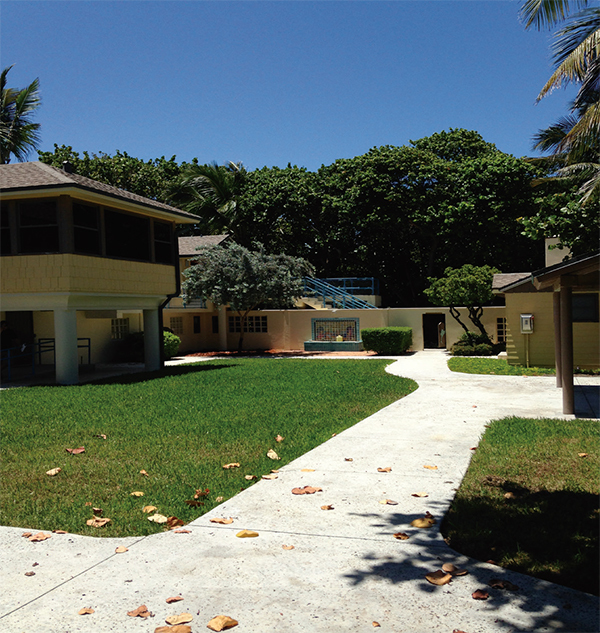 Future Marine Environmental Education Center at the historic Carpenter House in Hollywood, Florida. Nest Program have allowed the Broward County Sea Turtle Conservation Program to expand on some of the ongoing research and outreach initiatives each year. A leading mission of NSU and the BCSTCP is community outreach and education. 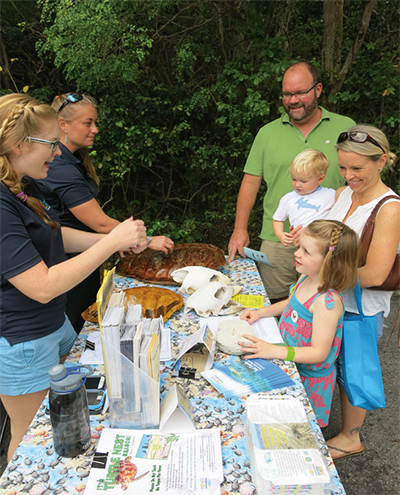 Our sea turtle experts conducted 116 education/outreach events to date in 2015 connecting with nearly 17,000 individuals! Some of the educational programming is centered around public sea turtle hatchling releases. In partnership with Anne Kolb Nature Center for the “Sea Turtles and Their Babies” program, an informative “Turtle Talk” gives participants the background information about sea turtles worldwide and especially focuses on the many species found in our local waters, and then allows everyone to see live sea turtle hatchlings up close and experience the beginning of their long journey as they travel down the beach and head out to sea. Throughout the year the team also conducts sea turtle seminars and participated in a number of larger table events to reach a wider audience. Stay tuned for future opportunities like rehabbed sea turtle and hatchling releases coming up at the Carpenter House!!! NSU students attend interactive booths at outreach events. the Broward County Board of Commissioners and Broward County Environmental Planning and Community resilience Division and carried out by NSU conducts daily nesting surveys to track nesting trends in Broward County. For more than 25 years the BCSTCP has lead conservation efforts of sea turtle species through monitoring sea turtle nesting and productivity, protection of imperiled nests, monitoring beach renourishment projects, sea turtle stranding and salvage response, and education/outreach to County residents, business owners and visitors about the sea turtles that share our beautiful beaches each summer to develop their young. 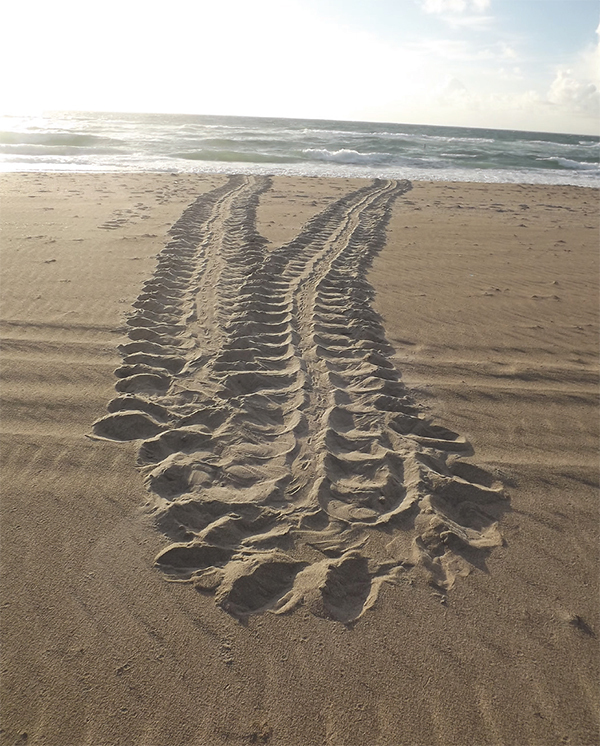 Historically increasing sea turtle nesting activity brings hope to researchers and conservation groups in South Florida for the future of the endangered and threatened sea turtle populations along Broward’s highly urbanized coastline. Broward County is home to 5 different sea turtle species. The Broward County sea turtle conservation program has documented a gradual increase in nesting activity since 2000. 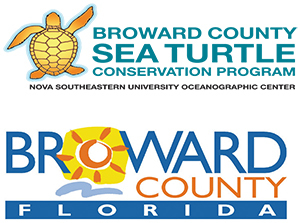 The loggerhead, green, and leatherback sea turtles regularly nest on our beaches and the hawksbill and Kemp’s Ridley sea turtles can be found in our nearshore coral reef ecosystems, but do not nest in Broward. The 2015 sea turtle nesting season (March 1 – October 31) is one of the highest nesting years on record in our 25+ year history, only falling slightly behind the record-nesting season in 2012. 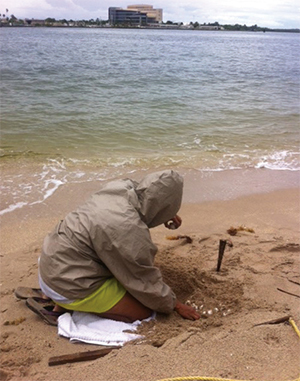 Along 24 miles of Broward County beaches, the BCSTCP team documented 7,822 sea turtle crawls. Of these 3,240 resulted in nests (2,741 loggerhead; 463 green; 34 leatherback) and 4,582 false crawls, where the mother crawled up on the beach but for various possible reasons decided not to lay a nest. This falls just shy of 2012 that had 3,284 nests. However we have seen a fairly steady rise since the 2000 nesting season which may be an indication that the conservation and management work that has been ongoing for the last 30+ years may be starting to show its impact as it seems there are more nesting mothers in the population!! When sea turtles traverse the beach without nesting, it is often referred to as a “false crawl”. Exceptionally dry sand conditions can contribute to the frequency of this behavior. this season and may be the result of a very hot, dry beginning to the summer in this area. The hot, dry conditions (due to the extreme drought; driest May-July on record since 1945 for the Miami area) led to very dry sand, which may be difficult for the mothers to lay a nest in. As they dig their nest, the dry sand has a tendency to collapse into the hole, rather than cooler, damp sand which would hold its form and allow the mom to deposit her eggs. However even with the increase in false crawls, our Broward County sea turtle mothers persevered and laid a very impressive number of nests. With a sea turtle nest averaging 90-120 eggs per nest depending on species and over 3,200 nests on the beach in 2015, we have seen more than 300,000 eggs laid this year in Broward County! We look forward to the 2016 season and can’t wait to see how our turtles do next year!